It’s a little weird writing this blog post. To be completely honest, I had no intention of creating a planner. A good friend of mine actually recommended that I transform my bullet journal into a planner to sell, but I never really thought I would do it. I always told her it was a good idea and then I pushed it off. 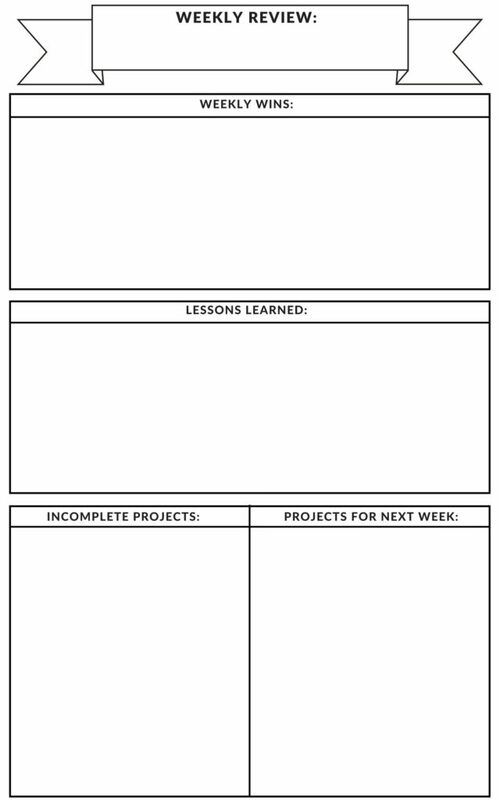 It wasn’t until I decided that I was done with bullet journaling that I finally decided to create digital copies of my worksheets. 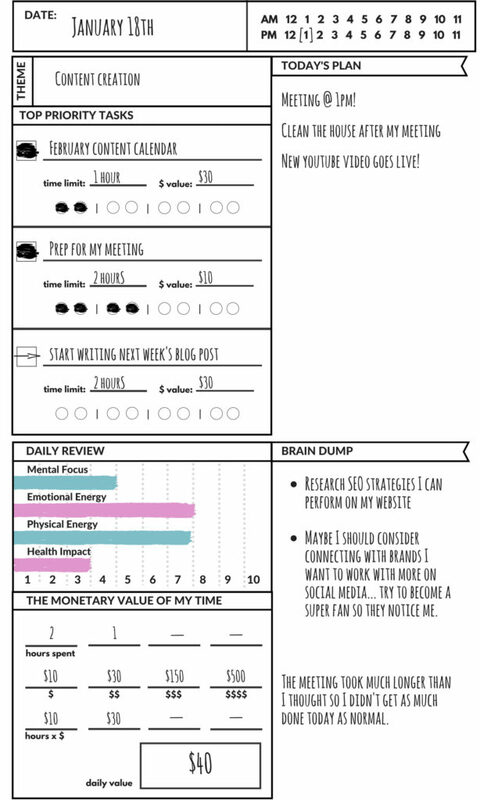 And since I was creating the planner for myself, I figured why not offer it up to my readers to help improve their productivity. And just like that, I’m here. Sitting in Glen Edith (like always) writing this blog post about how you can get the most out of your Big Plans: Productivity Guide & 6-Month Planner. Because people actually bought my planner! You know, sometimes I create things and I have this little voice in the back of my mind that tells me that no one is going to care. Yet every single time I come out with something new, you guys always seem to blow me away with your love and support. So for those of you who bought Big Plans, I want to say a special thank you. 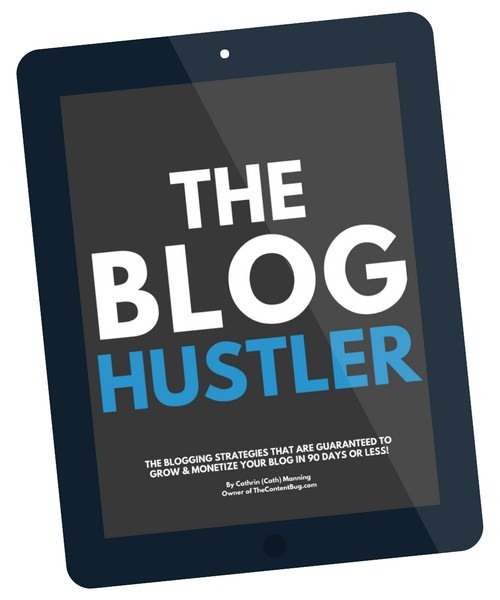 And just know that I’m writing this blog post for you. So let’s get into this. 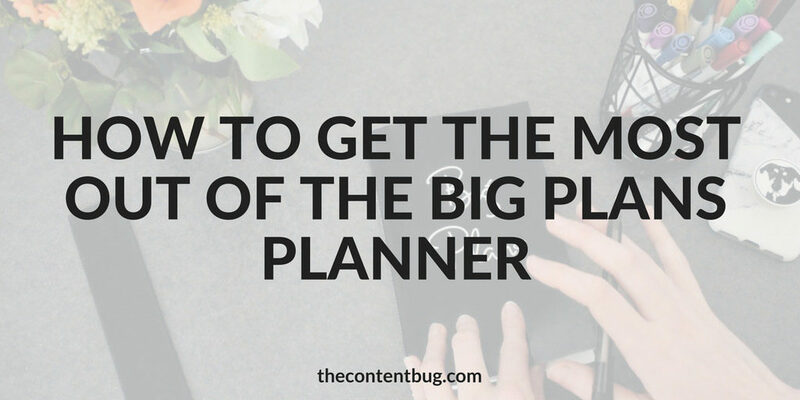 If you’re reading this blog post and you don’t have a Big Plan planner yet… what are you doing?! I’ve spent months working with my bullet journal to craft the best spreads to help me stay on top of my game every single day. And now I’ve converted them into an actual planner so you can better track your time, stay on top of your goals, and understand how your mental focus, emotional & physical energy and overall health has an impact on your daily productivity. 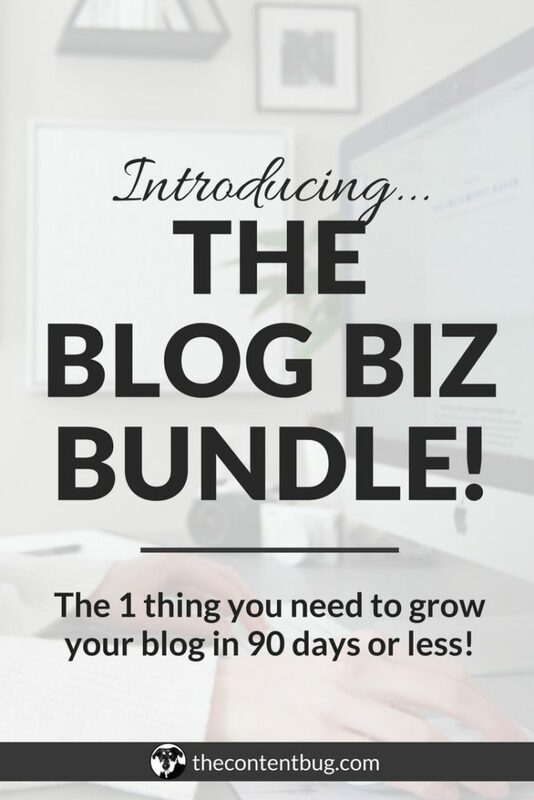 If you want to learn more about Big Plans, click here! Or if you want to get a sneak peek inside the book, take a look at the preview. 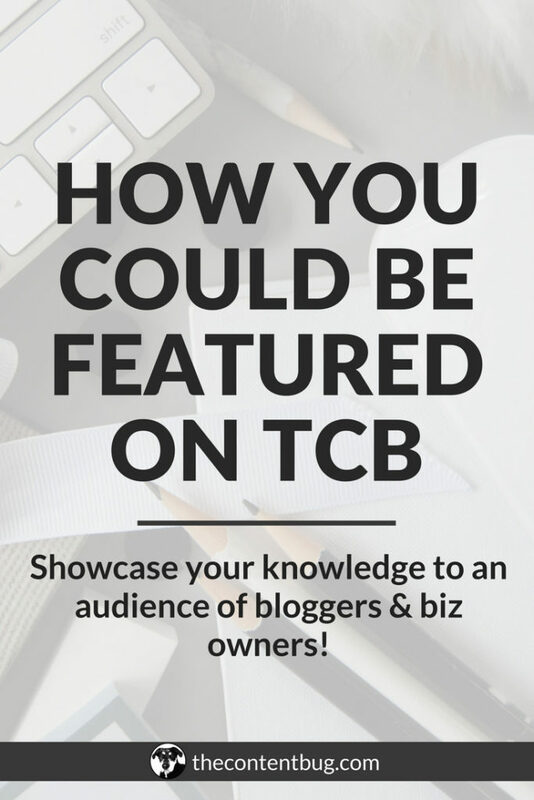 And if you’re ready to purchase your planner, purchase it now before we really get started with this blog post! Then once you’re done reading this, you’ll be prepped and ready to go when it arrives in the mail. Now before we get too far, I want to go over exactly what’s included in Big Plans. So this is a 6-month blank planner. That means that you get to fill out the information to match whatever month and day you’re on. That way anyone can get this planner at any time! Some months you won’t need the 5 weeks. But other months you will! The planner is designed to fit your needs every month of the year. So you can start it at any time and use it how you please. 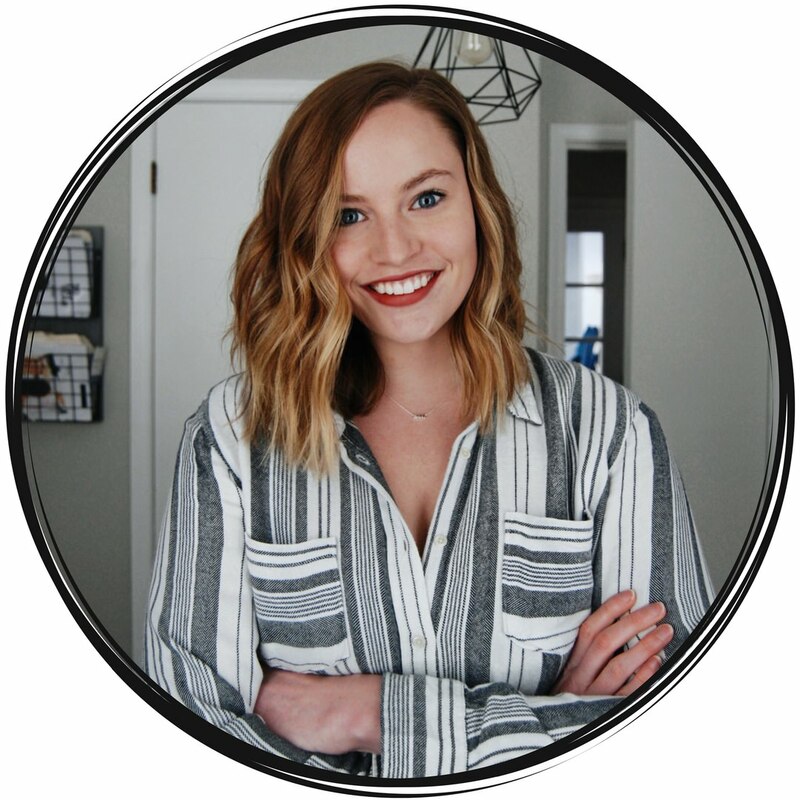 At the beginning of the planner, I go over all the information you need to know in order to improve your productivity with this planner. But what I didn’t include is a little section with some extra tips! So I figured why not share some tips with ya right now. For this book, I wasn’t able to get one of those cute little ribbon placeholders. But as these books progress in time, I’m hoping that I’ll be able to continue to step up my game and make them as functional as possible. So I recommend getting either a cute bookmark or a cute paper clip to use. I personally love paper clips because it technically marks off 2 pages for easy access. So I like to leave my clip on the habit tracker page and then the weekly spread of the week I’m on. That way I can access all the information I need to super easily! These are the paper clips I use. I got them at Target, but you can find a lot of cute ones on Amazon! I mean… who doesn’t love a little pop of color?! I’m definitely a black and white gal. There isn’t very much color in my wardrobe. Heck even in my house. But I do love a little pop of color in my planner! I went to Michaels and got a set of colorful non-bleed pens that I can use on all of the spreads. And trust me… I use them! I’ll show you exactly how you can incorporate color a little later in this post. And if you can’t find non-bleed pens that you like, then you can always use colored pencils or crayons. 3. Keep it on your desk & take it with your everywhere! I actually got this tip from one of my friends, Brandon Makh. He was talking in one of his vlogs about how if he didn’t keep his planner/journal open, then he would often forget about it for days at a time. And as soon as he said it, I knew that I was the same way! If my planner is in my face all the time, I’m more likely to use it and hold true to it. And the most I use it, the more productive I am. And the more productive I am, the happier I am and the better I feel. So yeah… having it in front of your face at all times is a huge help to make sure you are getting the most out of it. I like to plan my month all at one time. I’ll go through and prep my monthly spread and habit tracker. And then I’ll also go through and write the information I can on every weekly spread and daily spread. This just helps so you are always on top of your game. But it’s more than that… If you really want to get the most out of your planner, then you’re gonna want to prep your weeks and days ahead of time. There is nothing worse than waking up on a Monday and not having a plan for the day. You’re more likely to be less motivated and obviously, less productive because you don’t have a set plan ready for you. So the best thing you can do is to prep your week on Sunday and prep for the next day the night before. This way every morning you can wake up with a purpose knowing exactly what you have to work on that day. On the daily spreads, I left room so that you can fill in the blanks and include what’s important to you. For example, in the “Today’s Plan” section, I like to include a water tracker! So every day I track my water intake to make sure that I’m getting enough water. If you met me, you wouldn’t see me without my water bottle. If I’m not well hydrated, I tend to get headaches. And that leads to me losing focus and being less productive. So to help improve my productivity (in my productivity planner), I track my water! Now, you might not feel the need to track your water, but maybe you want to include another section. Like a to-do list or something. 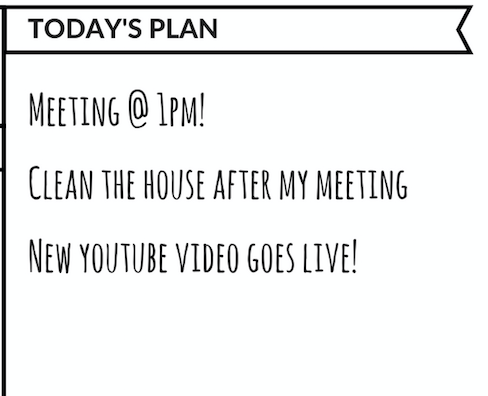 I recommend you use the “Today’s Plan” section to work in everything that the planner doesn’t already give ya. This little book is called a productivity guide and a planner for a reason. It’s not like a normal planner that only includes the spreads. 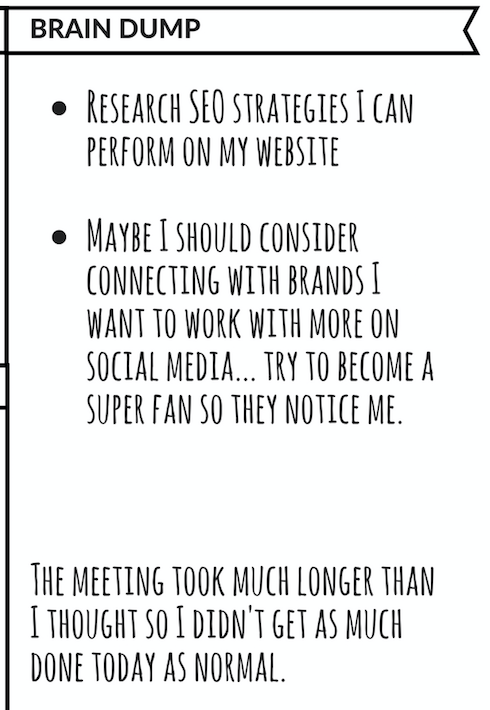 Instead, it includes all of my strategies as well as sample sheets already filled out so you know exactly how to use everything in the spreads. But even with all that information, sometimes it’s nice to get some ideas on how to use each page. And that’s what I want to do. I think it’s important to have a big picture view of what’s going on with your month. Sometimes a week by week overview isn’t enough. And that’s where the monthly spread comes into play. This page was created to hold all of your plans, goals, and intentions for the month. That way, you always have one leading page to come back to when you don’t know what to do. 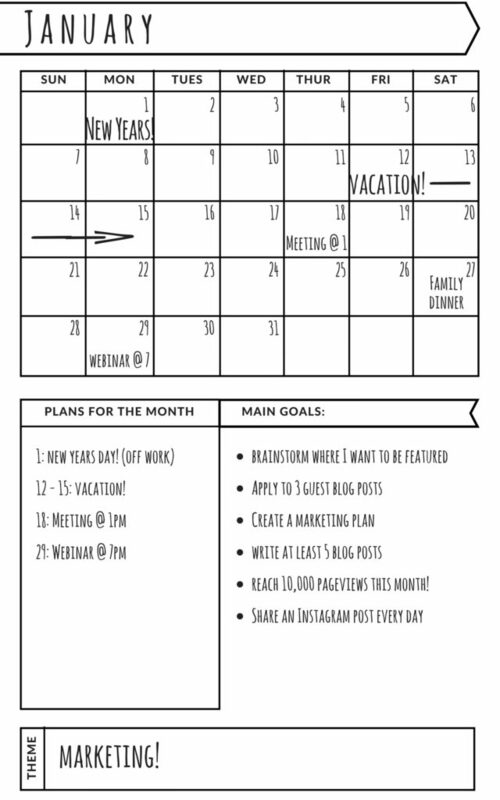 On this page, you’ll find a blank calendar for you to fill out and then 3 sections: your plans, your main goals, and your theme. This spread is really straightforward. But when it comes to filling out the calendar, you can have a little bit of fun. I like to add a pop of color for different days or events. So if I have a meeting planned, I’ll mark it in orange. And if there is a holiday, I’ll include a little doodle over that day. If you’re creative, the plain black layout might make you cringe. But you can always spice it up with a pop of color! If you’ve been following along since my bullet journal days, this has always been my favorite part of my planners. I absolutely LOVEEEEE to track my habits and get an understanding of what’s going on in my daily life. I use this bad boy to help me see what I need to change and how my actions affect my work ethic. 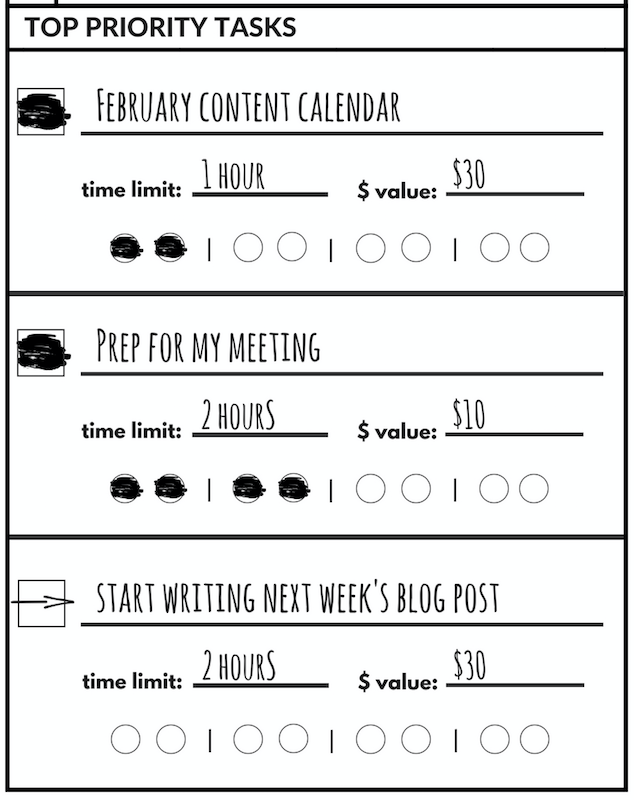 So here’s the deal… there are 20 slots for habits that you can track. And then each month you have 31 days that you can fill in. With each habit, color in the days that you did the thing that you said. So for example, my first habit is almost always meditation. On days that I meditate, I color in the square. And so on for each of the other habits. 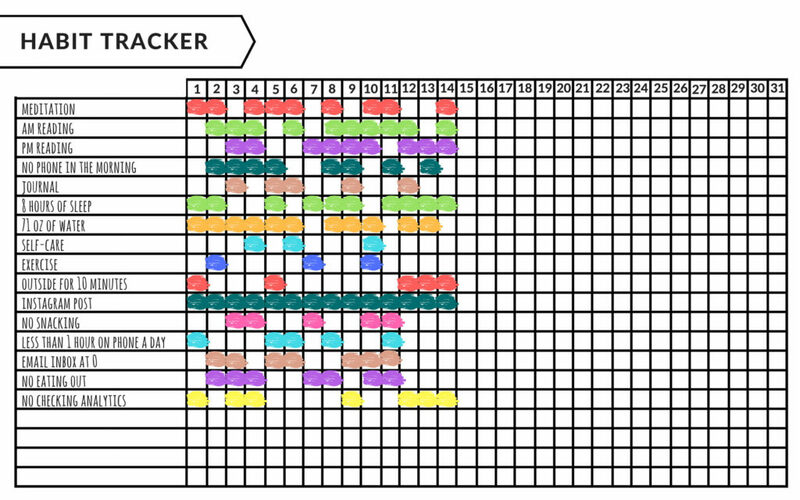 I liked to spice up my habit tracker with color and pick a different color for each habit. That way it’s fun to look at every day! For the weekly spreads, it’s also pretty straightforward. Consider this your master to-do list for the week! 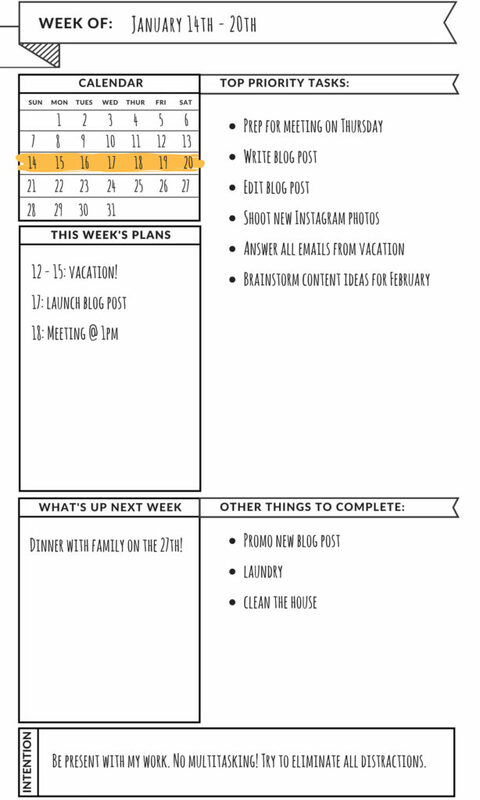 This is where you’ll organize your top priority tasks as well as your general to-do list for the week. There is a blank calendar at the top where you can get an overview of the month and select what week you are on. And below that, you’ll find 2 sections: 1 for this week’s plans and another for next week! That way if you have an important meeting next week, you’ll remind yourself to get prepared for it the week before. Then I like to set an intention for each week. It’s just an extra reminder to be intentional. And it’s a great way to form new habits or break bad ones that need to change! You can set your intention for each week, or you can write in a quote or a mantra that you want to live the week by. Really, there is a lot of flexibility here. So it’s up to you! The daily spread is where things get a bit more complicated. I’ve been using this layout for a while. So when I created it, I was like “oh yeah, this is simple!” But then I realized that it’s actually pretty complicated for someone who’s looking at it for the first time. So I actually want to take the time to break down what the sections mean. Some things are a little obvious. Like the top priority tasks section is clearly for the tasks you plan to work on that day. And the today’s plan section is for whatever you have planned for the day. I mean, that’s straightforward… right? 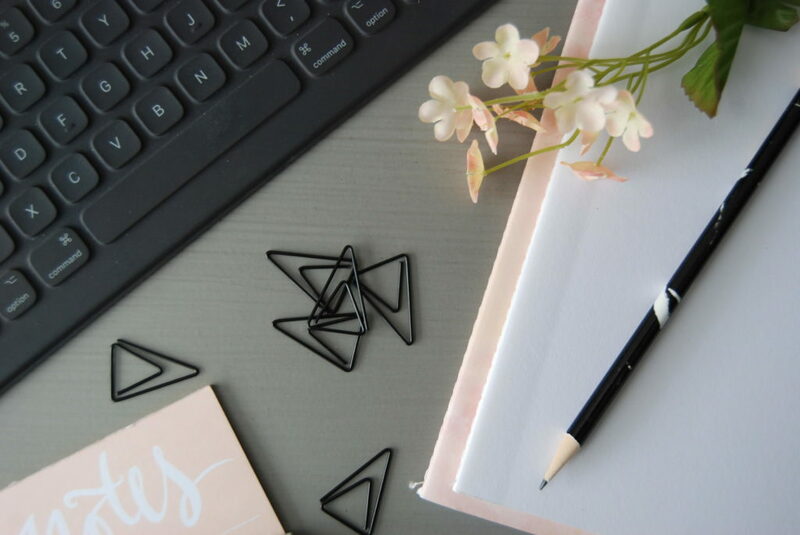 Typically planners include a date, to-do list, and that’s about it. It’s rare that you’ll find a planner that includes all the detailed sections that Big Plans includes. So let me take a moment to explain what each section means in the daily spreads. This is where you’ll write your daily theme. Meaning what you are going to focus on that day. I like to break my days up into specific themes so that all of my work revolves around the same kinda stuff. That way I’m not jumping from task to task. That wastes a lot more time than you would think. Unlike a normal to-do list, the Top Priority Tasks section includes a time limit, a dollar value, and some circles which are used to track your time. Let’s start with the time limit. For each task you put on your Top Priority Tasks list, you only have 4 hours to work on that task. 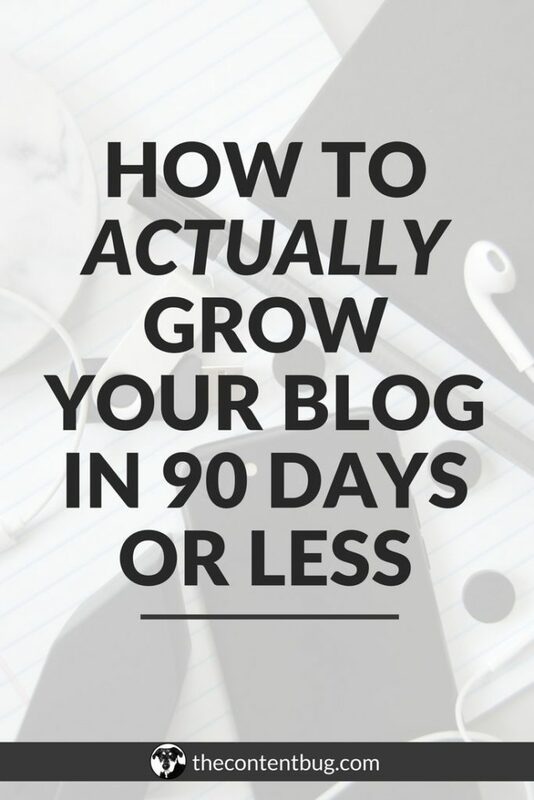 If you think it’s going to take longer, then you need to break it down into smaller chunks. The time limit spot is to help you stay focused on the task at hand. If you give yourself 4 hours to do something, it will take you 4 hours. But if you only give yourself an hour, you’d be surprised that you can actually complete that task pretty fast! And lastly, the circles! Each of the circles represents a half hour of your time. Each vertical line represents a 5 to 10-minute break. As you work on the task, track your time by filling in the appropriate amount of circles. This section is pretty unique. But extremely important to the planner. I honestly believe that there are a lot of external factors that impact your productivity and work ethic during the day. And by understanding a big picture of what’s going on, you can learn what needs to change to improve your daily productivity. 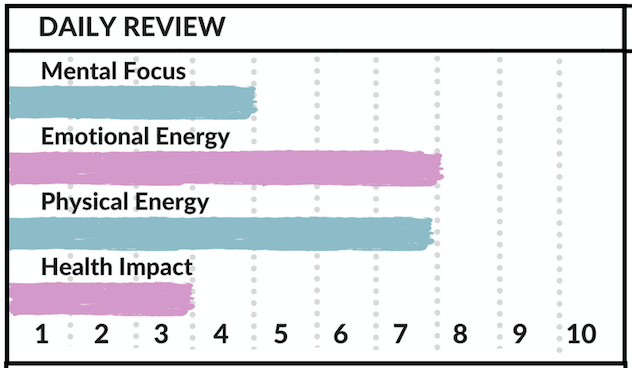 So with the Daily Review section, you get to rank your day on a scale of 1 to 10 for your mental focus, emotional energy, physical energy, and health impact. 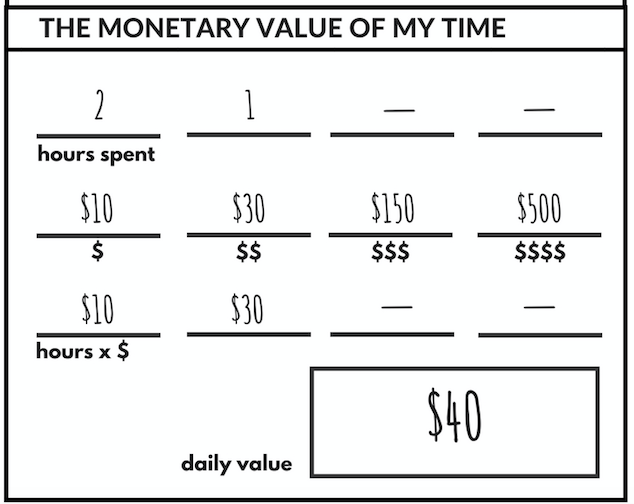 This is another unusual section because a lot of people don’t really track the monetary value of their time! But you’re going to start. And once you do, you’ll be obsessed with working on higher dollar tasks just to get that daily number up! So with this section, you have to complete it at the end of the day. You look back at your tasks, the dollar value of them, and the amount of time you spent on each task. Then you enter the time you spent on each dollar amount. Multiply the number of hours by the dollar value. Then add up all the dollar values. And just like that, you have the monetary value of your day! Plan and simple. This is where you write all of your meetings and other plans that you have for the day. I also like to use this as a to-do list with my non-priority tasks. Stuff that still needs to get done, but doesn’t need to impact the monetary value of my work day. So I’ll include things like cleaning, making an appointment, or calling someone on this side of the daily spreadsheet. Do you ever have an amazing idea, not write it down, and an hour later you already forget what your idea was? Every idea is a good idea! And you need to capture them! So this is where the Brain Dump comes into play. This is basically just an extra section for you to write your thoughts, ideas, and even doodles if you’ve got them! Last but not least, you may have noticed a time bar at the top of the sheet. This is where you get to track your time or block of time that you’re busy during the day. And finally, we’ve made it to the last spreadsheet in the Big Plans Planner! This page is pretty self-explanatory. There are 4 sections: weekly wins, lessons learned, incomplete projects, and projects for next week. At the end of each week (preferably on Friday) take 2 minutes to fill this out and set yourself up for success for the next week! I love these pages because I can go back and see what I was proud of and what I learned. I get to see just how far I’ve come and refocus myself on lessons that I’ve long forgotten about. Creating this planner has been an absolute dream come true. All of my work up until this point has been digital. So when I create and launch something new, it’s almost anti-climatic. But when I received my very first copy of Big Plans in the mail, my heart was so giddy I didn’t want to work! I couldn’t believe that I was holding something that I actually created. And now I get to share it with each and every one of you! I just want to say thank you for everyone that has supported me up until this point. 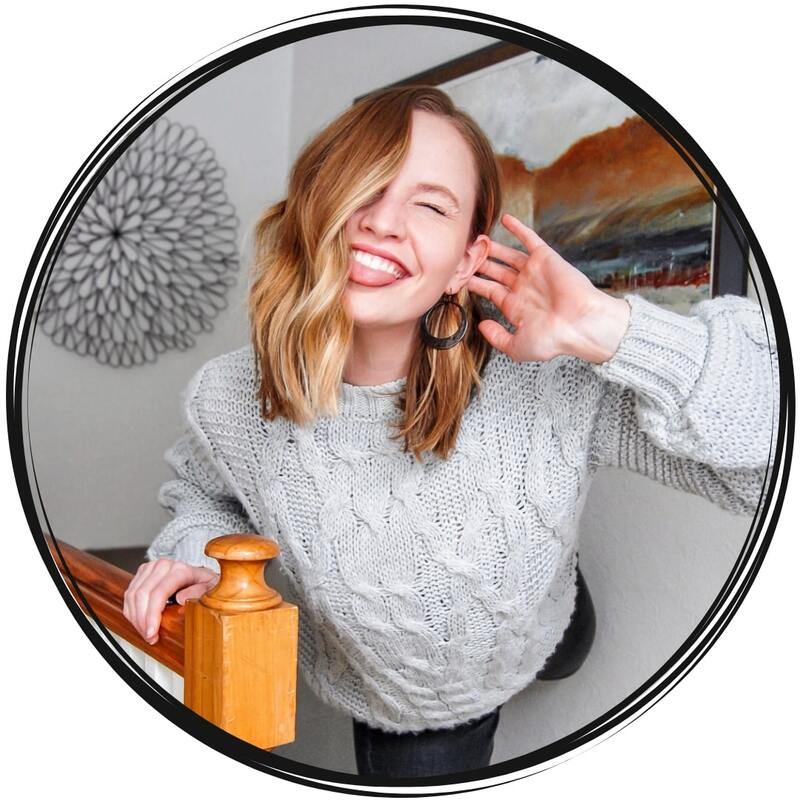 Wheather you just like my Instagram photos, subscribe to my email list, watch my YouTube videos, or purchase any of my products, you’re doing so much more than you could ever know. 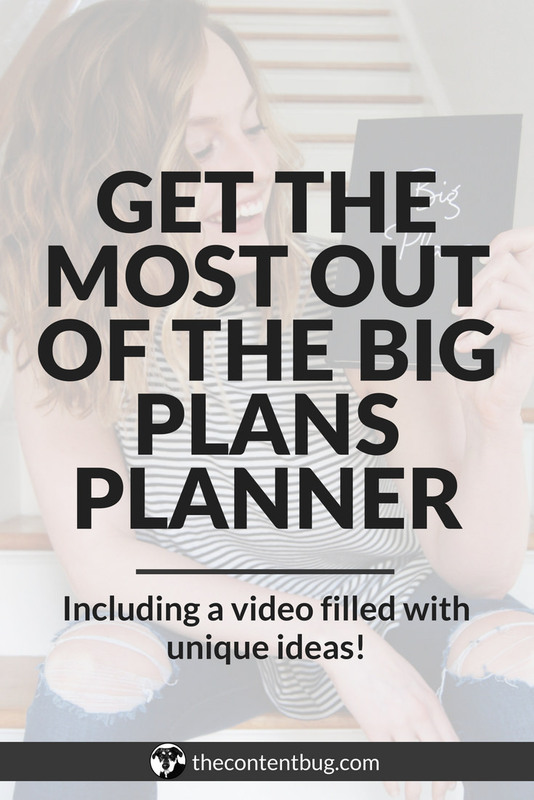 And if you have the Big Plan Planner, make sure you tag me on Instagram so I can share it on IG stories!